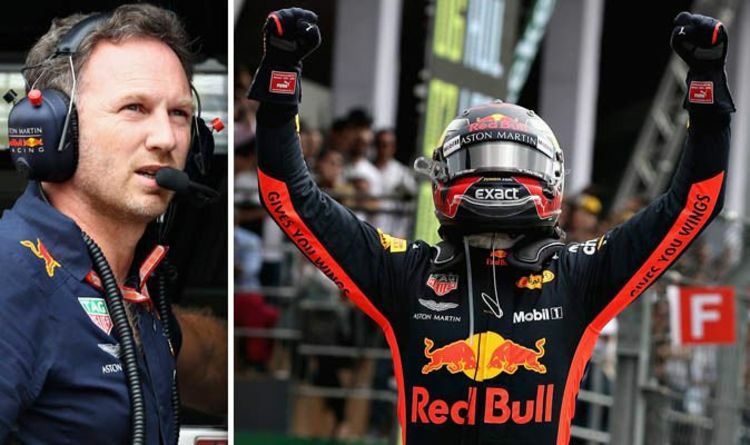 That is according to Red Bull chief Christian Horner, who says doing so would take away from the driver’s performances. Max Verstappen is widely regarded as one of F1’s hottest prospects alongside Sebastian Vettel’s new Ferrari team-mate Charles Leclerc. But he has also forged a reputation for recklessness, due to his ruthless approach to battling his rivals. Verstappen is known to have a temper, too, just as he showed when he clashed with Esteban Ocon at last year’s Brazilian Grand Prix. Those fracas in parc ferme at Interlagos saw the 21-year-old handed a two-day public service penalty, which he has now completed. First up Verstappen observed the work of stewards at last month’s Formula E round in Marrakesh. Then on Saturday he finished the punishment by attending the FIA International Stewards Programme in Geneva. Horner reckons the penalty will be a positive experience for Verstappen ahead of the upcoming F1 season. However, he insists Red Bull cannot make the Dutchman more reserved when it comes to his on-track exploits. “I think it was good practice for him to see what happens on the other side of the fence,” Horner said. “[Verstappen’s determined approach] distinguishes him and makes him the exciting driver he is. “If you talked him out of that, he would not be Max Verstappen anymore. “He would not make for the same headlines and create the same interest anymore. “He just wants to drive as hard as possible on each lap. Verstappen will be looking to make a winning start to the 2019 F1 campaign at next month’s Australian Grand Prix in Melbourne.